Johannesburg, 3 December 2018 – The Steel and Engineering Industries Federation of Southern Africa (SEIFSA) welcomes the improvement in overall business activity in the broader manufacturing sector, as reflected in the ABSA Purchasing Managers’ Index (PMI) released today. As a lead indicator and the first data point that is published for the preceding month, the PMI sets the tone for how manufacturers and various stakeholders in the broader manufacturing sector view the month ahead. The headline PMI data released today improved from 42.4 percent in October 2018 to 49.5 percent in November 2018, placing the PMI data virtually on par with the 50-neutral level which separates expansion from contraction. “The rebound in the data is encouraging. Despite low business and consumer confidence, it seems that manufacturing activity is generally improving, albeit rather slowly and still under pressure,” SEIFSA Economist Marique Kruger said. She added that it was also encouraging to note that almost all the sub-indices improved in November 2018 vis-à-vis October 2018, with the new sales orders, inventories and suppliers’ performance trending in expansionary zones. The only blip in the performance of the sub-indices was that of the employment sub-index, which still trends in the contractionary zone and seems to have taken a knock in November 2018 when compared to October 2018. Ms Kruger said SEFSA remained hopeful that the increasing trend in the sub-indices would continue and eventually improve the composite seasonally-adjusted PMI for December 2018. “Progression in the PMI is important towards boosting overall economic activity for quarter 4 of 2018, also enabling businesses to start the year 2019 on a positive note,” Ms Kruger concluded. 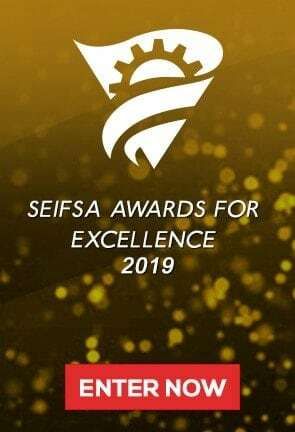 SEIFSA is a National Federation representing 21 independent employer Associations in the metals and engineering industries, with a combined membership of 1600 companies employing around 200 000 employees. The Federation was formed in 1943 and its member companies range from giant steel-making companies to micro-enterprises employing fewer than 50 people.